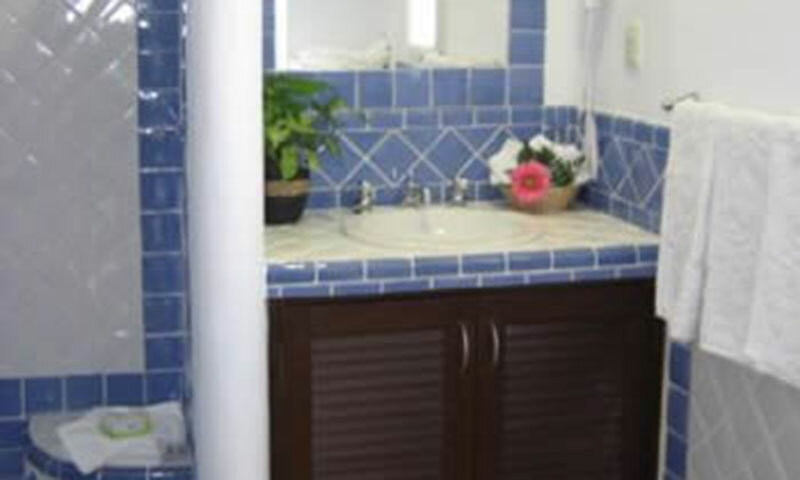 Fully air conditioned with ceiling fans throughout, Casa Anatolia features a full kitchen with a microwave, 4 burner stovetop and oven. A washer/dryer will make doing a load or two of laundry a snap. 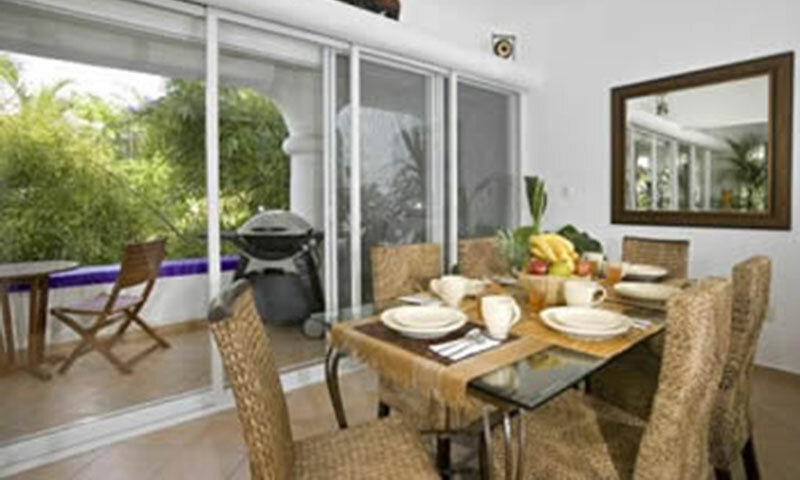 The dining room has very comfortable seating for six and opens up to both the living area and furnished outdoor patio. A Weber gas grill is available for guest use on the patio. 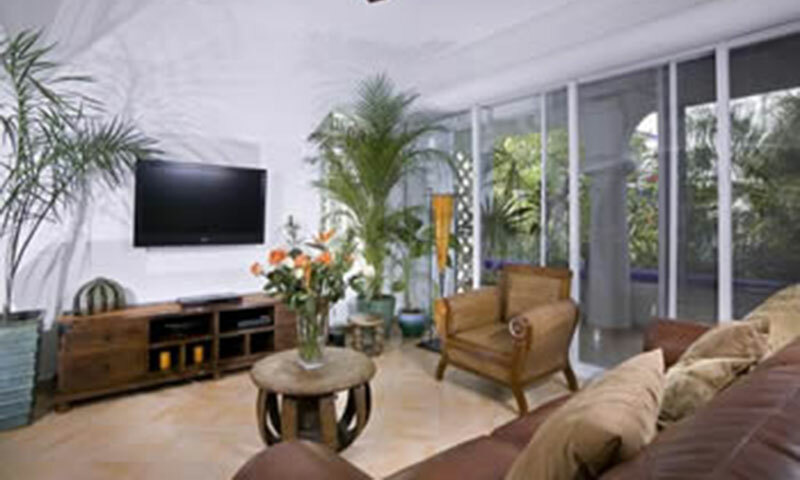 The living room has a big comfy couch, side chairs, flat panel TV, satellite hookup, CD player and wireless internet. The master bedroom has king bed, walk in closet, private bath and sliding mahogany doors with walk a out to the living room. 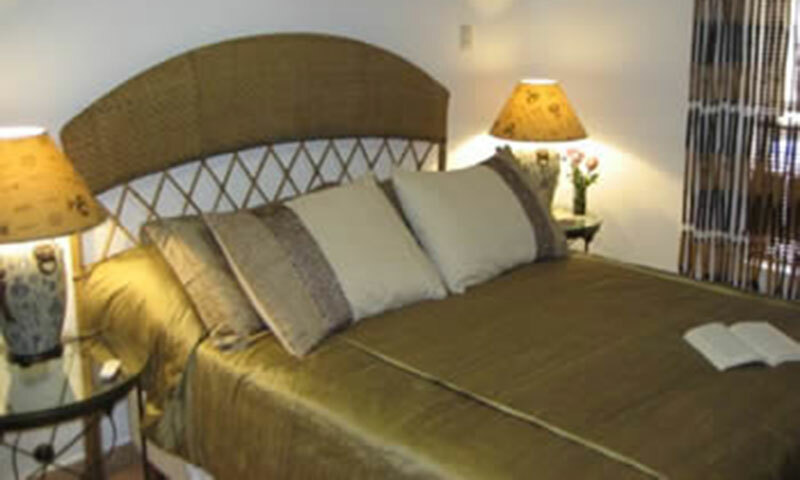 The guest bedroom has a queen bed, private bath and plenty of storage space as well. 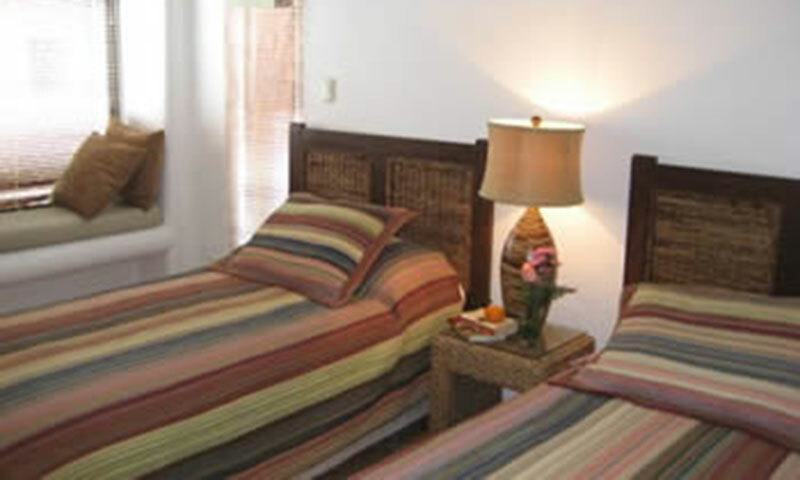 The second guest bedroom has twin beds (King upon request), a private bath and closets. All the beds and bedding are of the highest quality. Natz Ti Ha units all have access to rooftop areas with shade, chairs and tables, views of Playa Del Carmen, the beach and ocean. 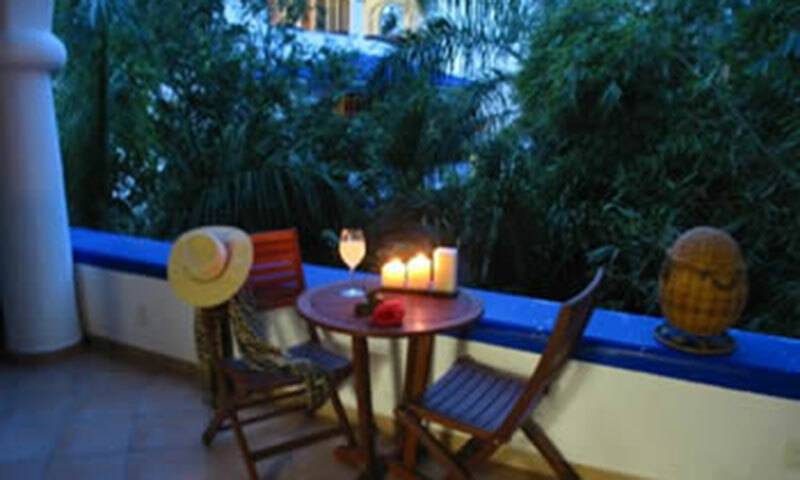 The complex also features a wonderful swimming pool with sun loungers surrounded by lush jungle vegetation. The background noise of waterfalls will leave you in a relaxed state of mind. 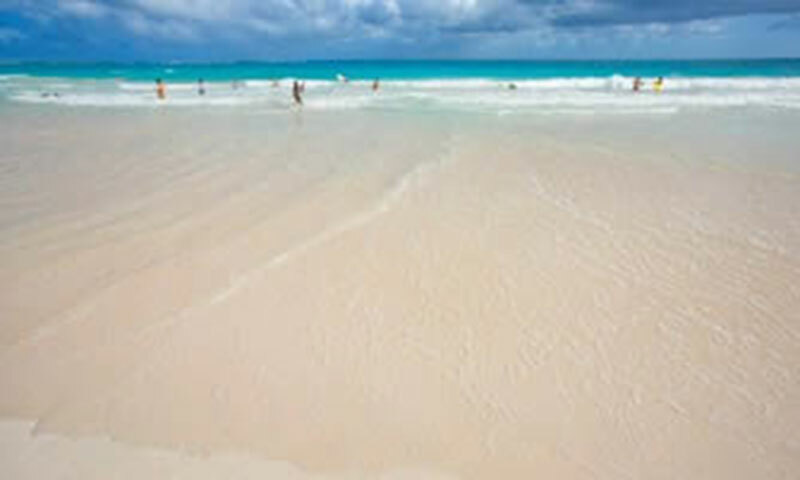 The walk to Playas beautiful white sandy beaches is only two minutes. If you like privacy, walk north, where development has yet to take place and the beach is deserted most of the time. If you like activities, beach clubs and people watching, head south to Mamitas and Kool, they have individual shade palapas, loungers and full menus. The complex is just a ten minute walk from 5th Avenue (La Quinta) with a great choice of restaurants, bars, discos, boutique stores and more. One of our favorite restaurants, La Pumorola, is directly across the street from the building; wood fired pizzas, salads, pastas and wine! 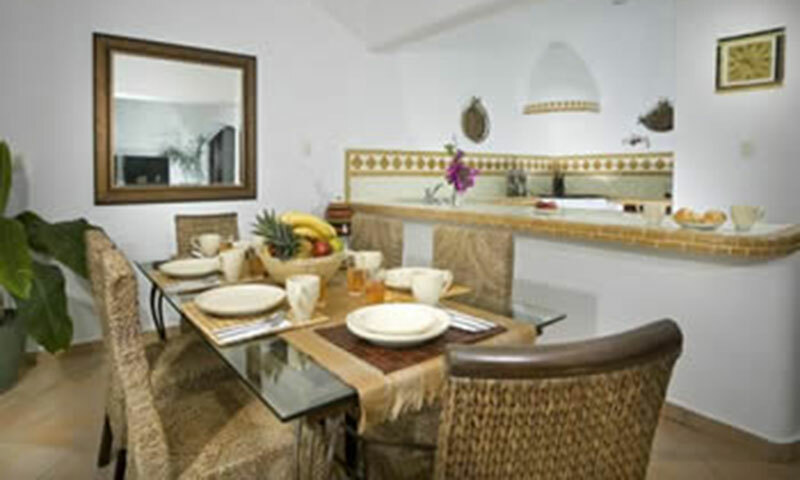 Casa Anatolia offers relaxation and luxury in fabulous surroundings with the convenience of the beach and the famous 5th Avenue just minutes away. Normal Occupancy for this condo is 6 guests. $100.00/week for each extra person over the normal occupancy. Monthly rental rates are available on request. Christmas and New Year's rentals are not available on a monthly basis.